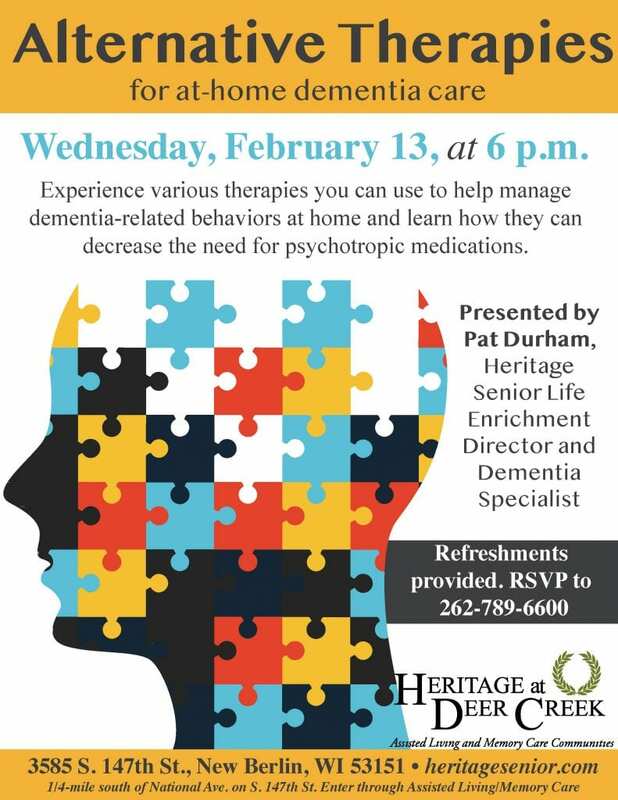 Experience various therapies you can use to help manage dementia-related behaviors at home and learn how they can decrease the need for psychotropic medications. Presented by Pat Durham, Heritage’s Senior Life Enrichment Director and Dementia Specialist. Refreshments provided. RSVP to 262-789-6600.